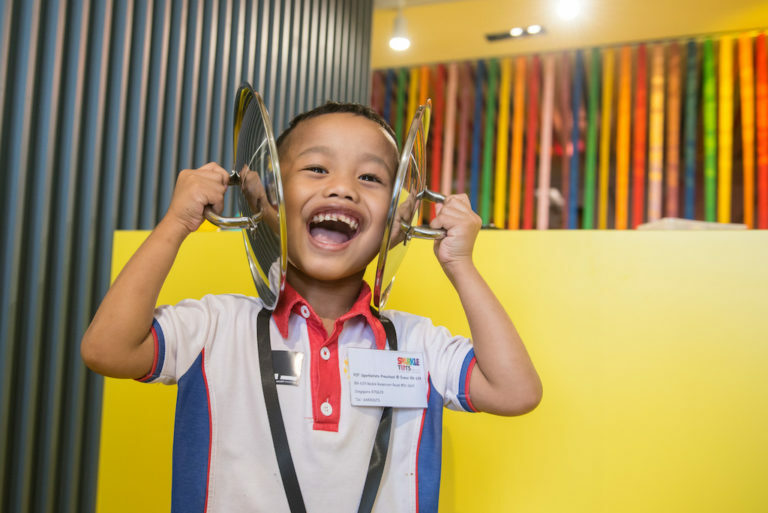 Smallest children have the biggest dreams – here’s what to expect at Children’s Festival 2018: Small Big Dreamers by the National Gallery Singapore. 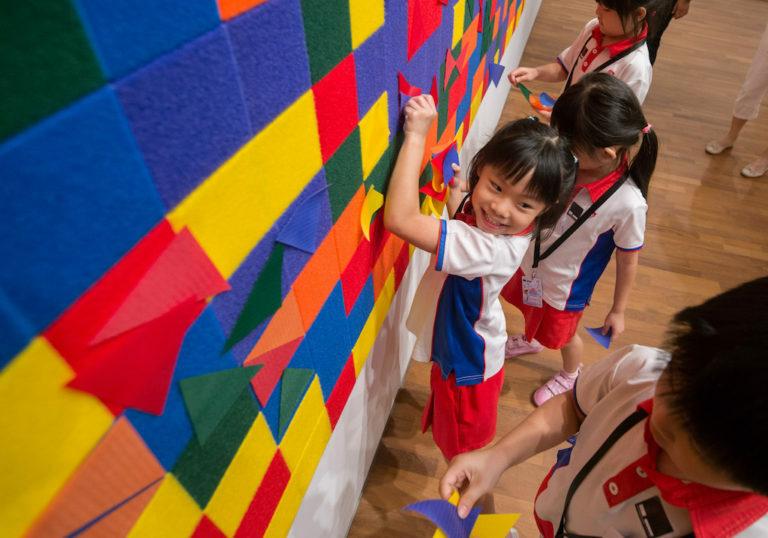 With its continuous focus on engaging young audiences in Singapore, National Gallery Singapore presents Children’s Festival: Small Big Dreamers 2018 from 9 June to 9 September 2018. 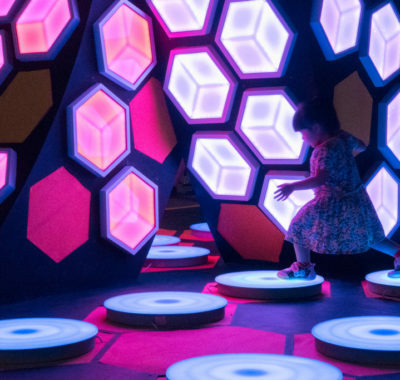 The first-ever edition of this festival hopes to empower children to be creative, and to imagine and re-imagine their worlds through experiential art and active play. Read on to find out what to expect at this installation of the bi-yearly event. 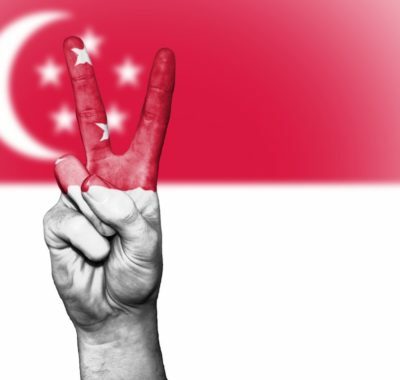 This edition of the festival features a special commission from local artist Lee Wen. This special commission includes A Waking Dream: Sun-Boy and Yellow Man and four other installations for children, encouraging them to create their very own stories, just as Lee Wen does via his artistic expressions. 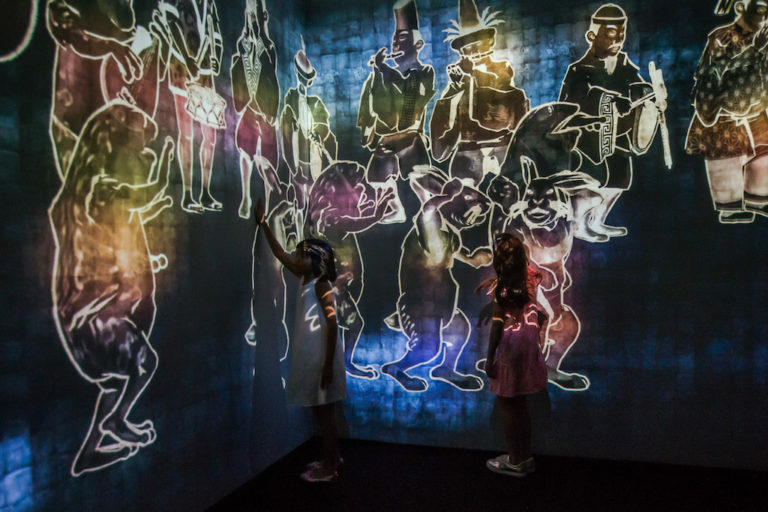 The immersive journey begins at City Hall Foyer as you enter the dream-like world and encounter the Sun-Boy and Yellow-Man, two personas created by Lee Wen. 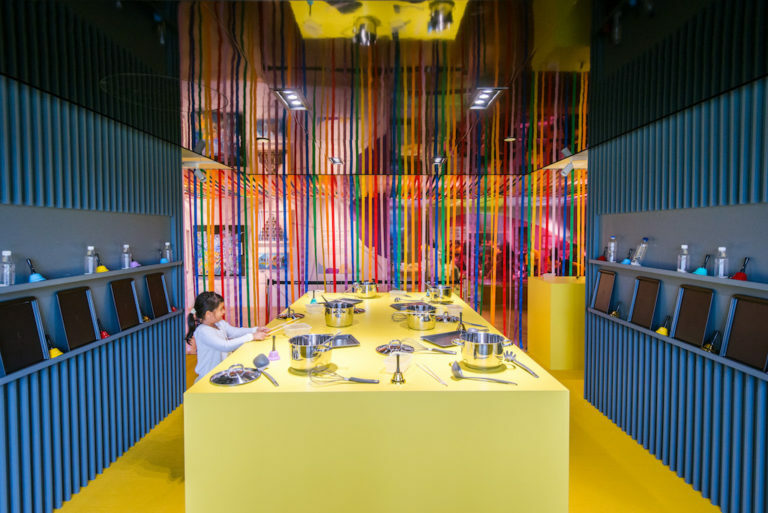 Dance around the spaces with your Bub as she creates the perfect soundtrack using pots, pans, ladles and whisks! 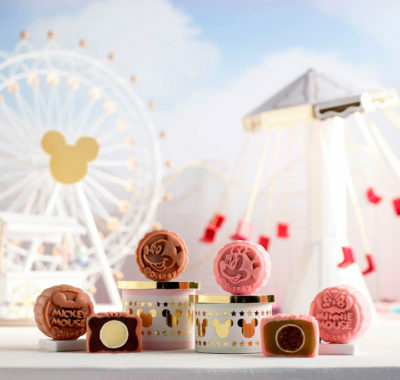 Then journey with Junior through obstacles with Yellow Man on the bridge or under a gazebo of red lanterns. Watch as the kids explore the spaces fearlessly with their imagination! 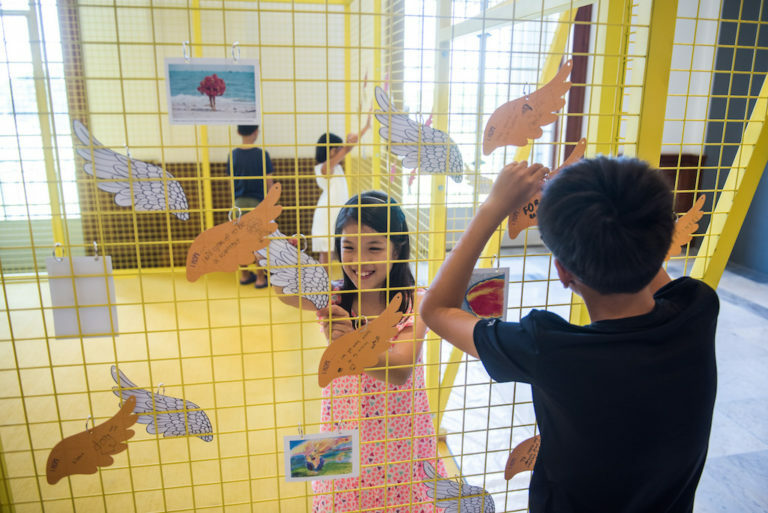 Your creative journey continues at the Koh Seow Chuan Concourse Gallery and Ngee Ann Kongsi Concourse Gallery, where you’ll have the chance to experience installations by artists from the region and beyond. 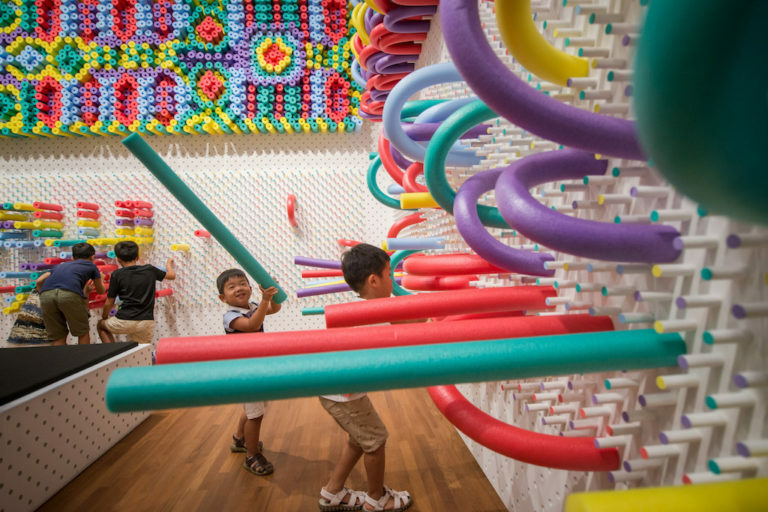 The Hands On installation, by Dutch collective We Make Carpets, spurs the children to create their very own artworks using simple everyday objects such as ropes, pool noodles and coloured velcro swatches. Watch as the Kiddos create their very own works of art by changing the shape of carpets with velcro, form a unique tessellation, and create a masterpiece with foldable pool noodles! Filipino artist, Mark Justiani, introduces a new iteration to the popular Firewalk: A Bridge of Embers. 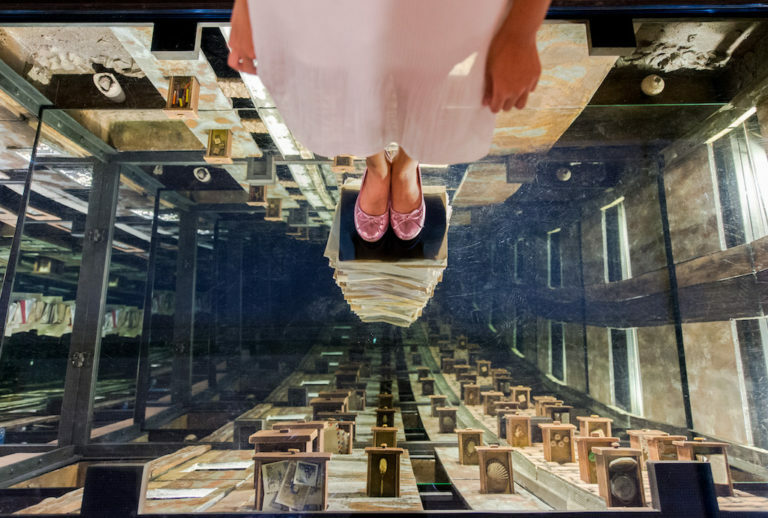 This bridge may look deceptively simple – but actually features an infinity drop with an illusion of depth that crosses the boundaries between our dreams and reality. Are you and the kids brave enough to take on the challenge? No children’s festival would be complete without kid-friendly programmes for the little ones to enjoy! Here are highlighted programmes that’ll accompany the installations. Art packs can be purchased at dedicated vending machines on Level B1, Level 3, and the Keppel Centre for Art Education. *Each sticker admits a child aged 12 and below. Admission fees apply for accompanying adults. Want to up the anté at the Sun-Boy and Yellow-Man exhibition? Join the Little Creatures and create rhythms and beats with your little ones! 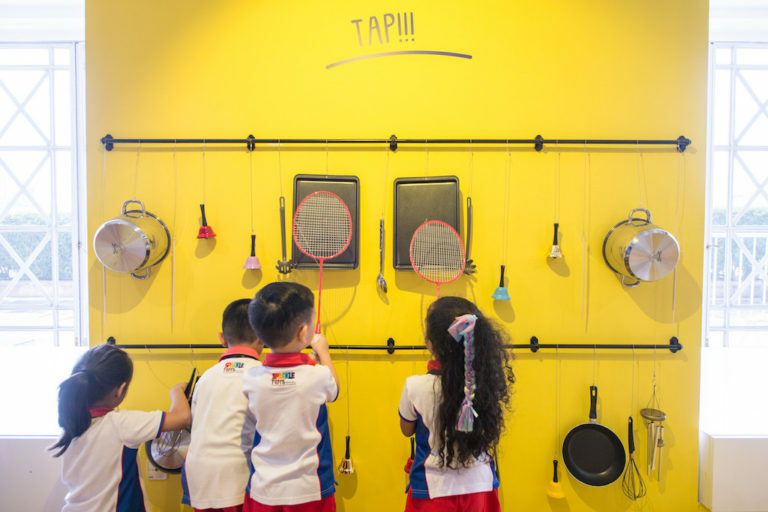 Using everyday objects like pots and pans, this fun parent-child workshop is sure to get you on your feet and dancing. Would you prefer getting the full experience of the festival? Then look no further than the Incredible 5 Tours! 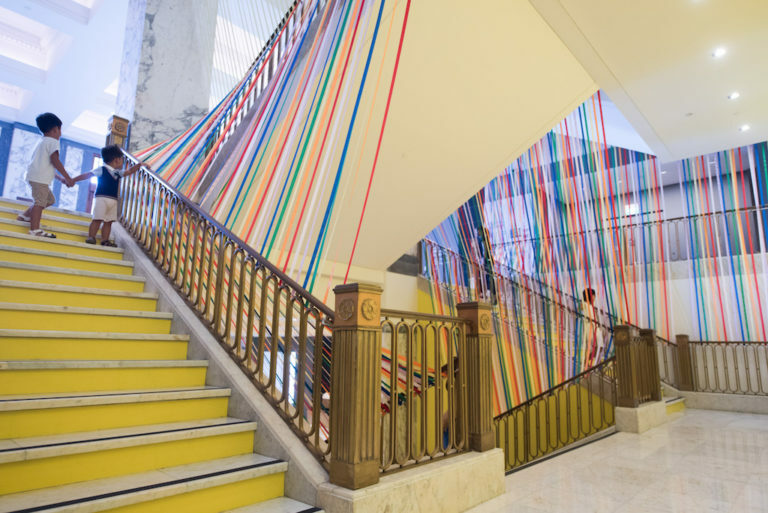 Gain insight into the stories that inspired the installations on this exciting docent-led tour. We promise the kids will love it too, as this tour is catered for both the young and young at heart. 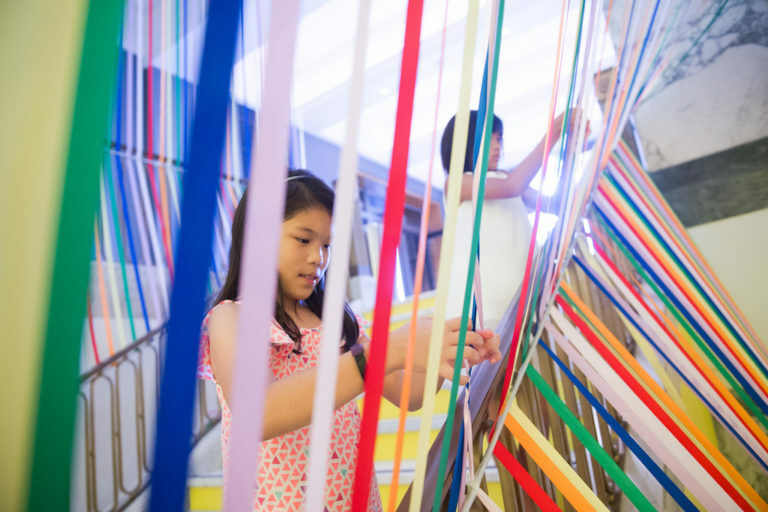 Now that you’ve been inspired by the myriad of installations around the Gallery, it’s time to put your creativity to the test. Get creative as a family and pick up new skills for art making under the guidance of an experienced Gallery facilitator. The best part? You’ll get to create and take home your own masterpieces inspired by works featured in the festival! 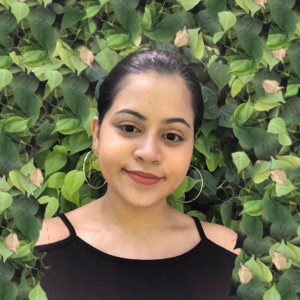 And there you have it – the full guide on what to expect at the first edition of Children’s Festival: Small Big Dreamers! Be sure to grab your tickets early; we expect this to be a big hit with parents and kiddos alike.